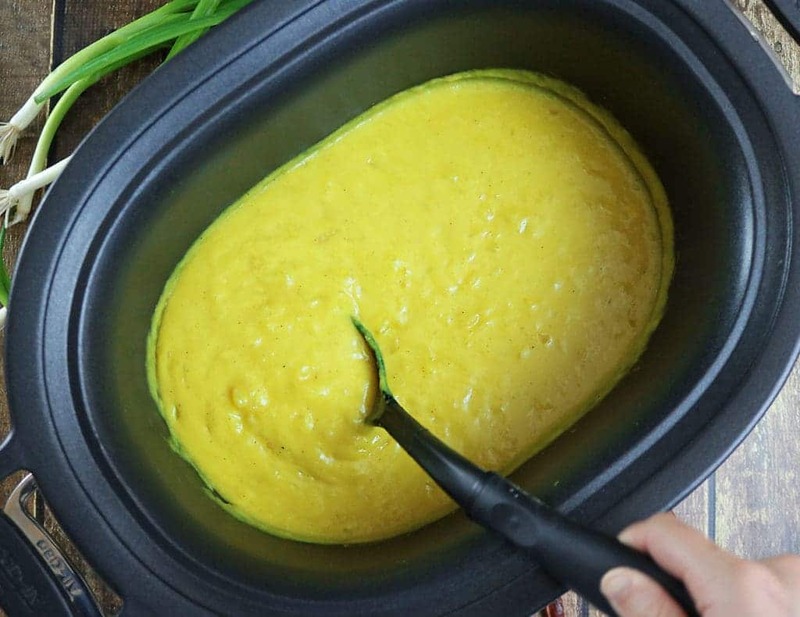 This vegetarian Slow Cooker Roasted Garlic Turmeric Potato Soup is simply so easy, so creamy, so delicious, and so dairy-free! I might be a tad bit biased, but, my daughter gives the most thoughtful gifts! Let me start by saying, my daughter knows that I am quite the cheapskate when it comes to fancy gadgets and gizmos that help one get -and stay- organized. In prior years, I’ve picked up a composition book and “converted” it into my version of a planner. While she has incessantly bugged me about my tacky composition-planner, I’ve had to point out that it was less than a buck – and worked for me! What a deal – eh?! However, this past Christmas, my daughter decided to amp up my planner game by getting me a bona fide, fancy, planner – with pages filled with sections titled: “Month At A Glance” and, “Things To Do For The Week” and, “Today’s To Do List” and, a plethora of tips and tricks on staying organized! At first, I was a tad bit intimidated by it…. Now, 23 days into the Month of January, I cannot imagine how I managed to stay organized before it! I’ll go so far as to say it keeps me sane. What I used to forget to do, now I don’t, because – it’s written down right there in a legible version of a calendar! Those people who can see what you need more than you can see it yourself are simply invaluable – don’t ya think? Today, I find this gift of hers simply invaluable! Well, a couple of Christmases ago, I received a Slow Cooker. I might have used it once before I put it away and forgot about it. Then, this year I stumbled on it in the dark recesses of my kitchen cabinets and deiced to pull it out. And, I have been using it constantly. In the busyness of this month, that slow cooker has become pretty darn invaluable to me, like that planner! 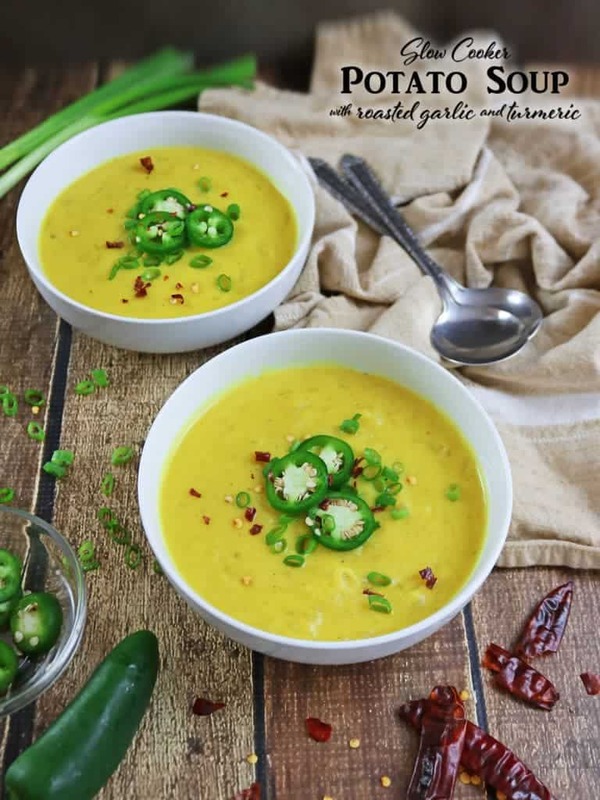 My daughter and I have been enjoying all sorts of concoctions from it – like that Three Bean Stew with Cocoa from last week and this Slow Cooker Roasted Garlic Turmeric Potato Soup. 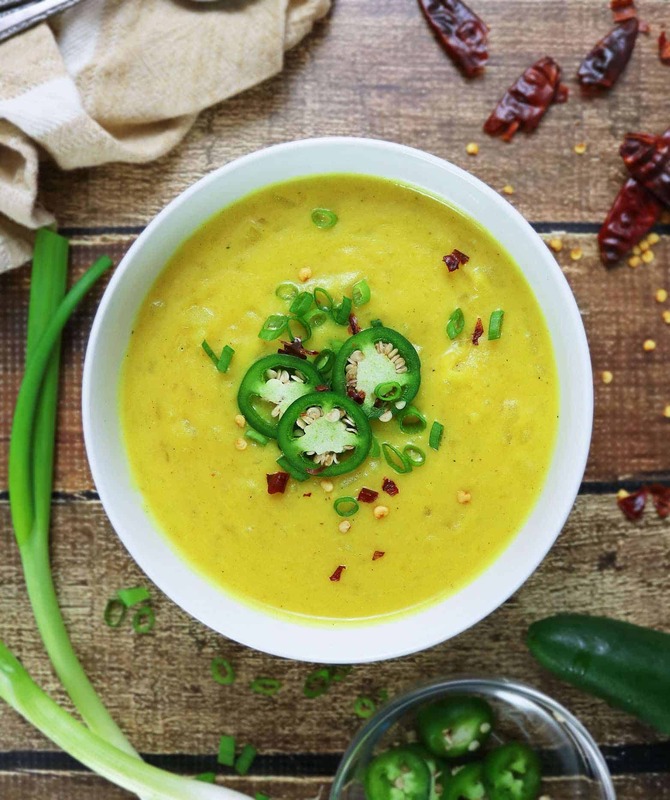 And y’all, this Slow Cooker Roasted Garlic Turmeric Potato Soup was so good! So incredibly creamy – without the cream! We tried licking the slow cooker – but had to stop when more soup ended up in our hair than on our tastebuds! 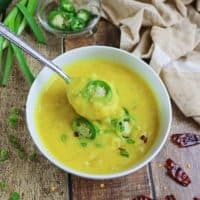 This soup is packed with off the charts flavor from turmeric and the roasted garlic I added in to it. I roasted the garlic while the slow cooker was running with the potatoes. I just threw a few garlic cloves (cut on one side) in some aluminum foil, baked them up at 375 degrees for about 40 minutes and then added them into the Slow Cooker. 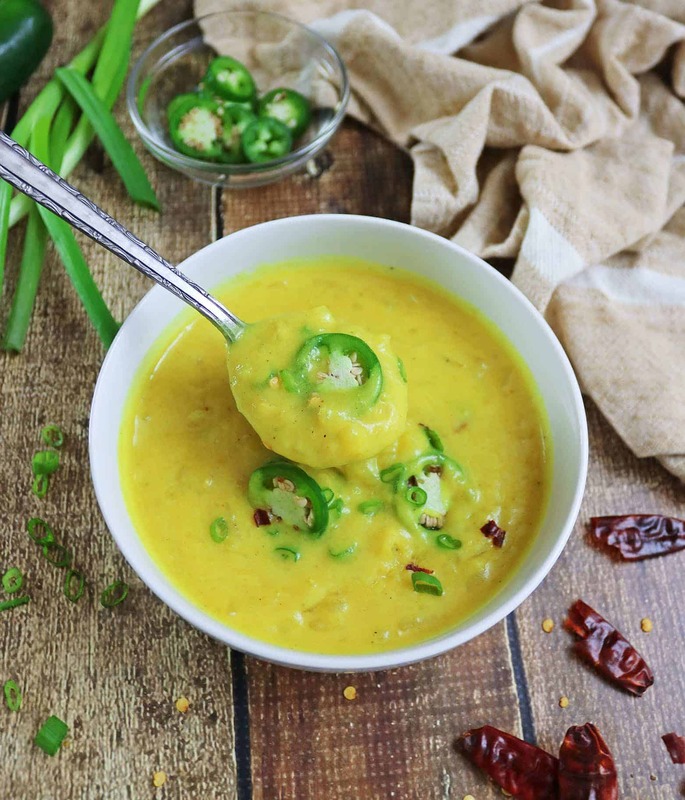 I also used coconut milk in this Roasted Garlic Turmeric Potato Soup which makes this soup dairy free too! My daughter and I decided to spice up our soups further with some jalapenos and crushed pepper flakes, but you can also top it off with cheese and/or bacon, if you so fancy. Add the onion, potatoes, coconut milk, vegetable stock, ginger and turmeric to your slow cooker and turn onto high. 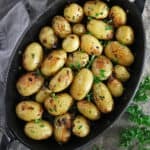 While the potatoes are cooking, you can roast your garlic by cutting them on one side and rolling them up together in some aluminum and baking them at 400 degrees for 35-40 minutes. When they are done, simply squeeze them through the cut side into the slow cooker and mix till well incorporated. When the four hours are done, add in salt and pepper and taste. Then, using a masher or an inversion blender, mash or blend up the potato soup a bit. If you'd like it creamy then blend till you attain the consistency you like. I liked it with a few bits and pieces of potato in it so only did it for a bit. Sprinkle with green onions, jalapenos and pepper flakes. 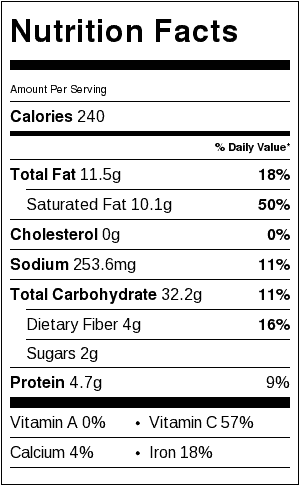 *Can also add in cheese or bacon as desired. I’d love to know if you happen to make this recipe (or any other on here) so pretty please tag me @RunninSrilankan and #RunninSrilankan on Instagram, Twitter &/or Facebook. 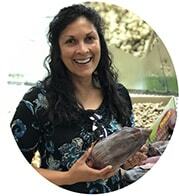 And, if you haven’t yet, then please make sure to subscribe to my mailing list to have all sorts of eats and treats delivered to your inbox! I don’t use my slow cooker often enough too. This is such a wonderfully delicious and warming soup. Yum! The flavors in this sounds amazing! Love a delicious soup this time of the year! I drug my feet on getting around to using the slow cooker, too, Shashi. But once I finally dug that thing out…woah! It really is a magical machine come these cold winter months. Soups are one of my favorites in the slow cooker, too. And this soup? Yes, please. I’ll take a serving…no, two…no, three…please. Love those fresh jalapenos on top and the roasted garlic in there. I hope Lil Shashi got an extra bowl of this one as a thank you for her awesome gift! Happy Monday, friends! Turmeric is so good for us and I love potato soup. This is a definite winner of a recipe for me. It’s still a bit hot here but when it cools down, this is going to the first soup I make. Your daughter is a treasure to give you something that really keeps you organized. I need to buy one of those slow cookers!!! Everybody has been tempting me with all these amazing slow cooker recipes. Right? What is it about planners? I totally know what you mean! Like, how did you ever keep your life organized before that? And if you misplaced it? Watch out. So funny, but love using mine too. And a perfect gift for sure 🙂 And slow cookers? We have an old one that I use regularly that was a wedding gift. It soon needs to be replaced as the cover is not the best, but I’m still hanging on to it. Use mine all through the year, even in summer. This soup looks so gorgeous! 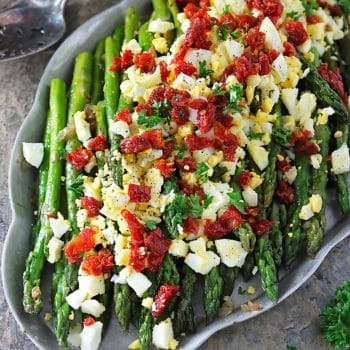 Love that colour, especially with the jalapenos on top. And coconut milk adds such a lovely flavour too. Pinning! Perfect soup to curl up to on a cold winter’s day. Happy Monday, my friend! I’m glad you got that slow cooker back out!! I always have a planner, but no matter what, I end up just using a scrap of paper each week to jot down my weekly to-dos! I love how pretty tumeric is. This looks delish my friend! Girl, you know I love soups!!! Haha this looks so good! 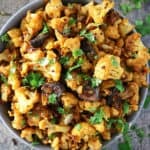 I’ve been trying to find more recipes that use turmeric so this is perfect! 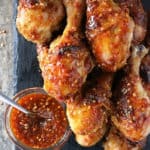 I love a recipe that’s this easy and yet has so much wonderful flavor going on! I’m going to have to dig out my slow cooker and make this asap! This soup looks so tasty. I like the recipe with a lot of flavour.I didn’t use slow cooker so often though, not sure if it’s going well for me. I don’t even have a slow-cooker so probably one day I’ll get a thoughtful gift too:) This soup looks great, Shashi! 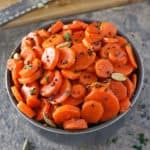 Although I’m not a huge fan of turmeric, I think I would like this version thanks to coconut milk which introduces a lovely consistency and also smooths out the flavors. Well done! I love that you’re loving your planner nowadays! I’ve given mine up for my e-calendar, but I do miss it. And this soup–so perfect for us busy folks! Thanks for sharing! Now that is what I call a flavorful potato soup and love the color. Potato soup is one of my Winter weaknesses, I can’t get enough! I love the turmeric spin you gave to this (and what a lovely color!) – I can’t wait to chow down! The color alone is just so appealing and stunning! Need to try! Totally gorgeous soup! Love the color turmeric gives anything. And the green of the jalapeno is such nice garnish. Really inspired dish — my kind of food. Thanks! What a beautiful colour this is. I could just feel this doing me some good on a cold winter day! This looks incredible! I love the garnishes you used – all those spicy flavors must go so well with the creamy soup. I totally want this for lunch! This looks delicious and would suit me just fine today. Cold and flu BEGONE! Thats looks awesome.. Perfect for a winter night!! Amazing combination of ingredients, Shashi! I love turmeric and garlic mixture, which is a nutrient bomb. Healthy soup for everyone who strive for balanced diet! Very creative Shashi. 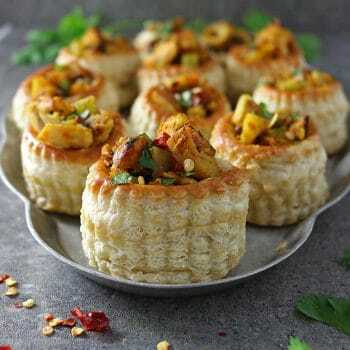 This reminded me of Kadhi Chawal at first, same texture and consistency. Love roasted garlic in a soup and the color or turmeric. So pretty. Yum! I can’t say Ill be making soup anytime soon with summer approaching but I cant wait to have this sucker ready for fall!